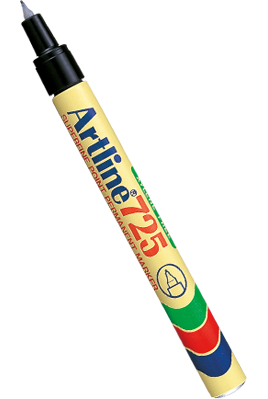 Take this marker anywhere with its slim body design and a handy pocket clip – ideal for all types of permanent marking. 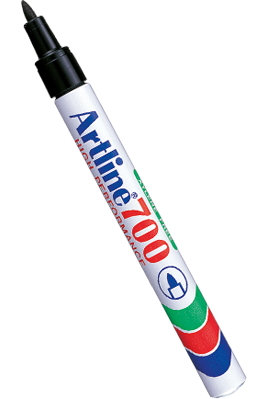 Featuring a handy pocket clip, with a hard wearing, superfine plastic nib for durability – this marker is ideal for all types of permanent marking where a fine line is required, such as shelf labelling, marking the spines of plastic files etc. 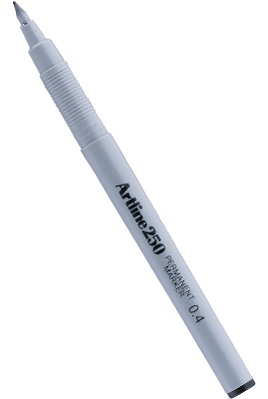 A large capacity ink reservoir and broad nib, makes the Artline 120 suitable for all types of permanent marking where bold, easy to see markings are needed. 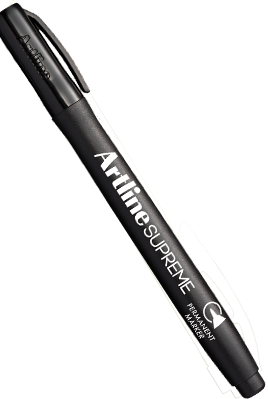 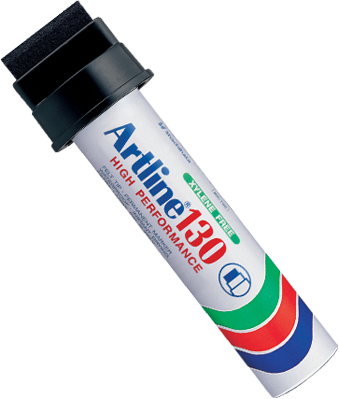 A large capacity ink reservoir and broad nib, makes the Artline 130 suitable for all types of permanent marking where bold, easy to see markings are needed. 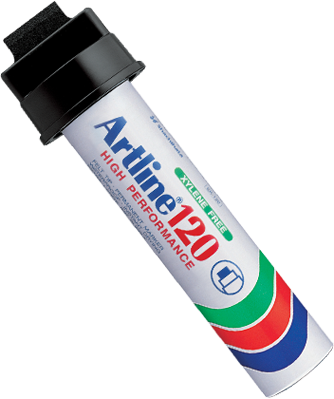 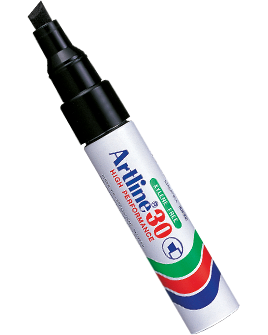 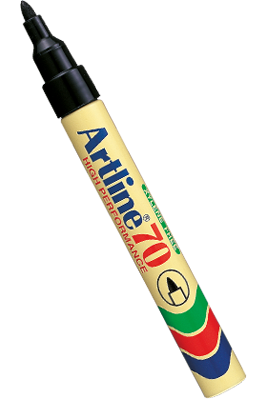 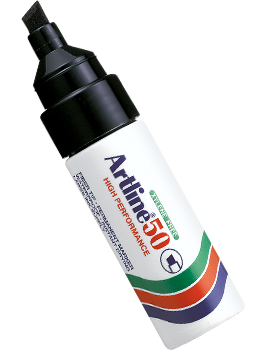 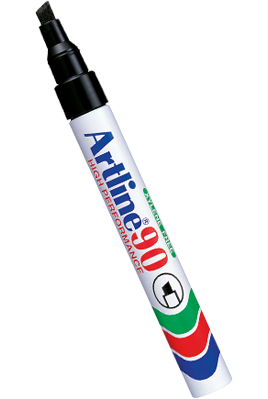 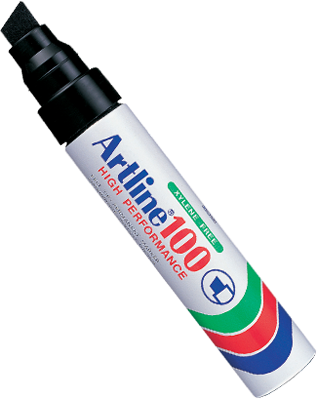 The Artline 250 has a very fine nib, making it ideal for all types of permanent marking where a fine line is required, such as shelf labelling, marking the spines of plastic files etc.